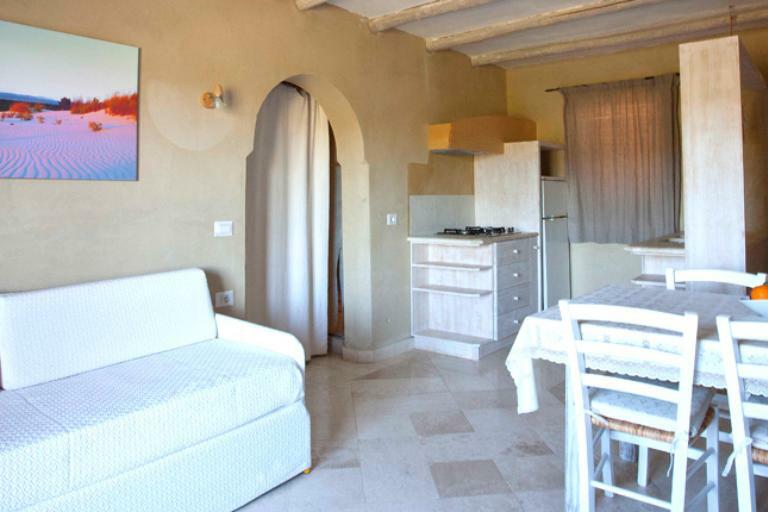 The two bedroom apartment for 6 of the Baia de Bahas consists of a double room, a bedroom with two twin beds, a living room with a kitchenette and a double sofa bed. (maximum 6 people infant included). FINAL CLEANING : per apartment, € 70,00. Kitchen area must be cleaned by the client, otherwise, a supplement fee of € 50,00 will be charged. DEPOSIT : € 200,00 Returnable at the end of your stay after verification of the state of the apartment.